If you can believe it, I didn’t eat a single piece of chocolate this Easter…not one mini egg….shocking and disgraceful I know…I did however consume quite a lot of cake and chocolate strawberry tart to make up for that fact, so I’ve been feeling the need for something a little healthier, a little more green…maybe even some (gasp!) kale…Kale blitzed up with pine nuts, olive oil and parmesan cheese into pesto that is…. 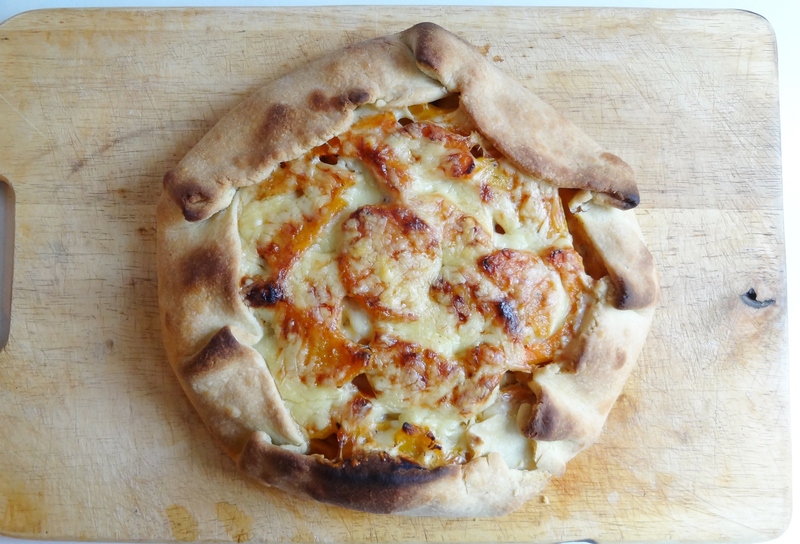 I thought I would share with you one of my favourite meals, a roasted butternut squash, garlic and cheese galette. If you have never heard of a galette before, it is a rustic, free-form pizza-like tart which can be sweet or savoury….